The first World Challenge race of 2012 kicked off at the Grand Prix of St. Petersburg. 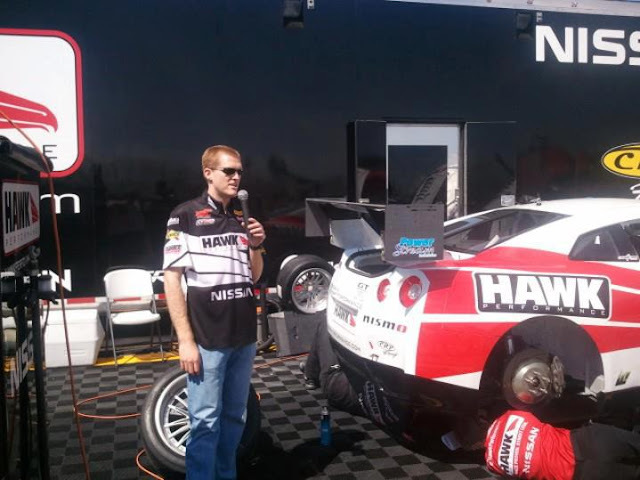 This would be the first event for the Hawk Performance/ CRP Racing Nissan GT-R. The car has been converted to rear wheel drive and runs a Hewland transaxle from early reports. 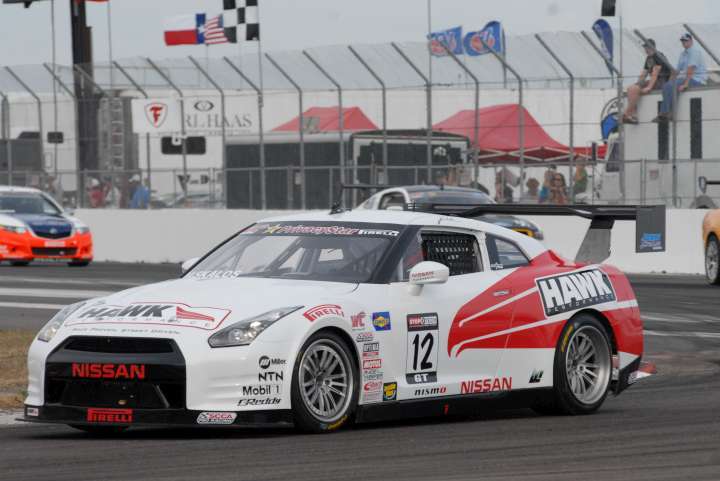 Mike Skeen was going to drive the #2 Nissan GT-R, with Jason Daskalos in the #12 GT-R, however only the #12 car made the event. Mike Skeen drove last years Corvette to the pole postion in qualifying with a 1:14.700, the GT-R qualified #14 with a 1:20.517. 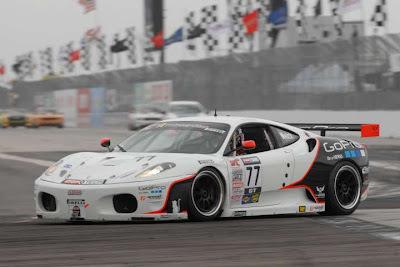 Ferrari F430 GT Class car. Before the first race started, Skeen was out with a driveline/differential failure in the Corvette. This left the pole position open. The all wheel drive Volvo of Alex Figge grabbed the top spot from 5th by the first turn. 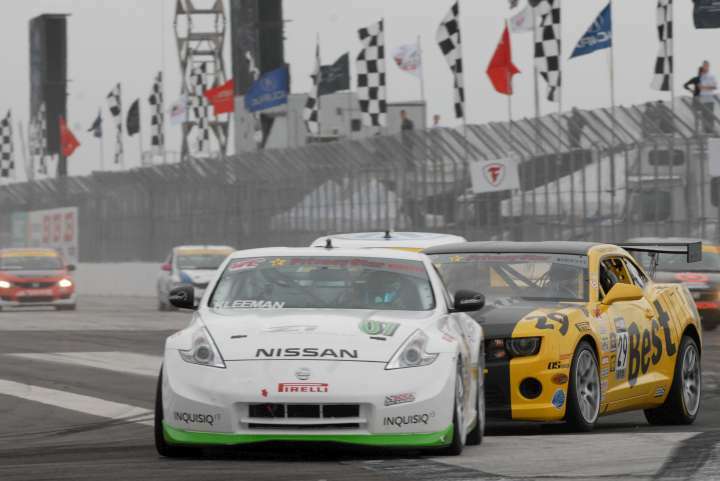 Daskalos in the Nissan GT-R made it 11 laps before a fire put the car out for the race, and the weekend. 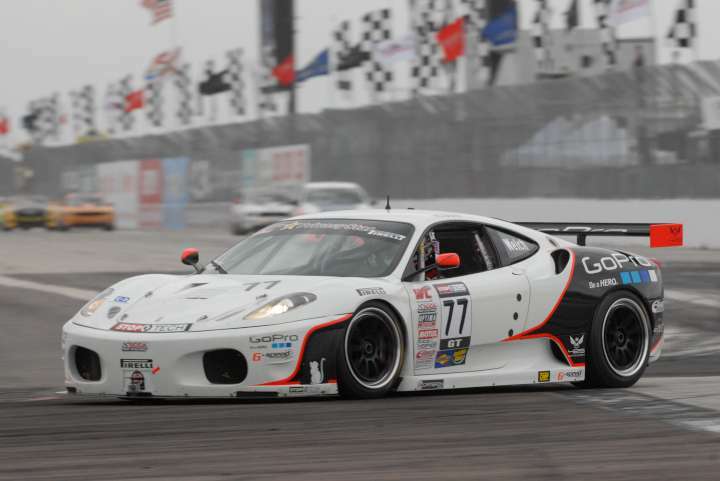 Lawson Aschenbach in the Porsche won the first event but was penalized for passing during a local yellow, putting Johnny O'Connell in the Cadillac into 1st. The second race on Sunday, saw the Vette out again with driveline trouble, and Lawson Aschenbach taking the win. Head over to the World Challenge website for the full results for the weekend. Lots of good battles in GT, GTS, and TC, even over the many cautions that mar a street course like St. Petersburg. 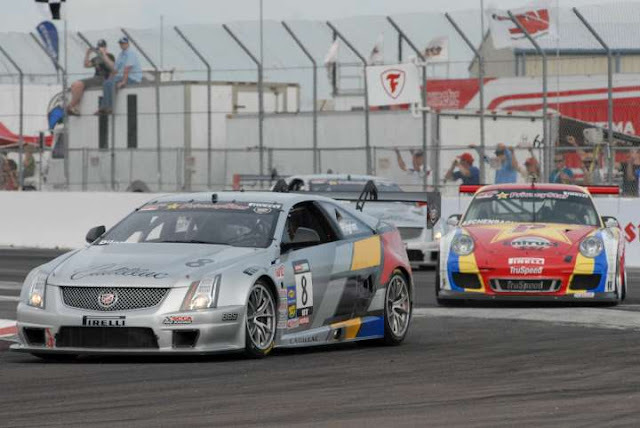 Next race is Long Beach 4/13/12. Nissan GT-R had a fire during the first race, and did not compete in the 2nd race.